Kidneys are two bean-shaped organs that help you to eliminate waste from your body, control the amount of potassium, salt and acid content in your body, as well as help the production of red blood cells and more . Sadly, many of us are not taking good care of them due to our busy lifestyles, eating habits and sedentary ways. In the long run, this disregard towards our super hardworking organs could lead to Chronic Kidney Disease (CKD). Vesicoureteral (ves-ih-koe-yoo-REE-ter-ul) Reflux: When your urine cannot pass through your urethra, it goes back up into your kidneys which causes infections and could lead to kidney damage. Once your kidneys have reached the 5th stage of CKD or End Stage Renal Disease (ESRD), the damages on your kidneys will become irreversible. Before technology, having damaged kidneys would lead to death but these days, you can still continue to live your life thanks to treatments such as organ transplants and dialysis. Although you’ll find yourself spending most of your time in a dialysis center, and organs can be hard to come by. The number of patients seeking kidney treatments are still increasing every year. 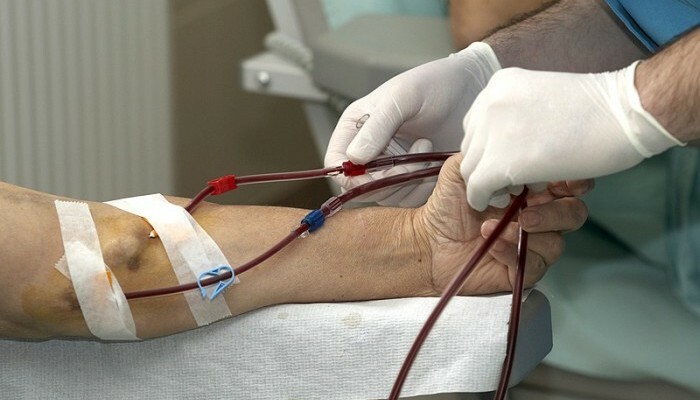 According to the 21st Report of the Malaysian Dialysis and Transplant Registry 2013, there are a total of 31,637 dialysis patients in 2013 and the number is expected to increase by at least 6,000 new dialysis patients every year . That’s a huge increase and not a good sign. Can you imagine how many kidney transplants and dialysis clinics are needed to cater to the growing number of patients every year? Most of us know about the 2 common treatments for ESRD or irreversible kidney damage which are transplantation and haemodialysis (HD). Pros: You are getting a new kidney so you don’t have to go through dialysis and you have less diet restrictions. Cons: You are put into the long waiting list to look for a suitable donor. Once you do get a kidney, you have to enter surgery. 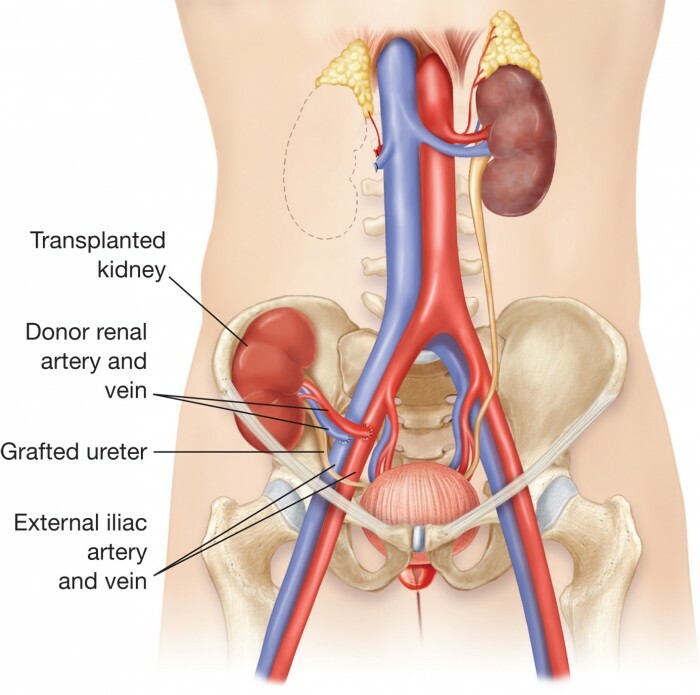 You don’t know if your body might reject the transplanted kidney. Then after your successful kidney surgery, you have to continue taking medications which can cause side effects. Pros: There will be someone to supervise you and you most probably will be doing the treatment with other dialysis patients so you are not alone. The trained nurses will set-up the artificial kidney machine or dialyser for you so if you not in good condition, doing HD in the clinic will easier for you . Cons: The treatment is tiring and takes about 4-5 hours for 3 times a week. Also, since your blood is being filtered, you might get low blood pressure or blood clots. There’s a risk of bloodstream infections if the needle inserted into your vein is not sterilized. The clinic might be far from home too. 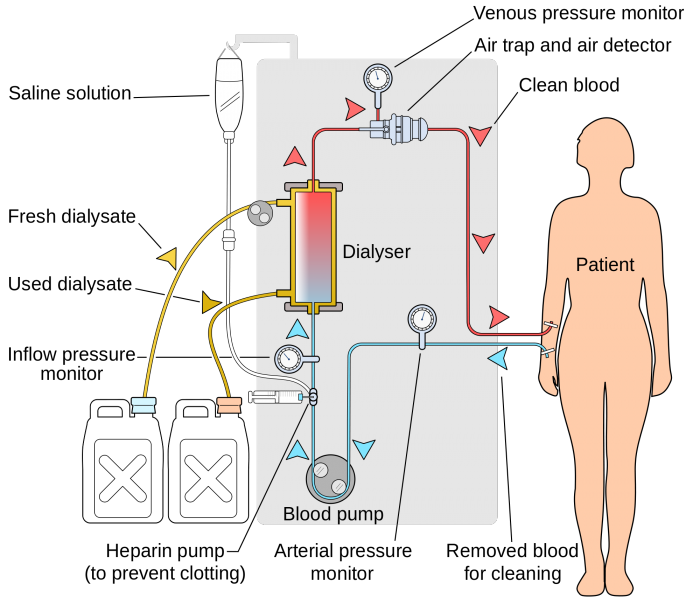 If you are doing haemodialysis at home then you might have to make some changes in your home and attend the training with a loved one to learn the ropes . The waiting game of getting a compatible kidney and long hours sitting in the dialysis clinic will take up most of your valuable time when you can be spending time with your loved ones instead. Why not try Peritoneal Dialysis (PD)? Dwell: Then you can go on with your daily activities. Toxins and excess fluids will be filtered into the dialysis solution. 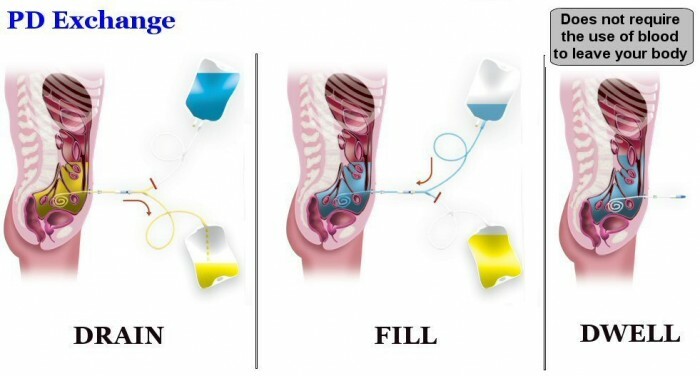 Drain: After 4-6 hours, you have to drain the used solution through the catheter before refilling it with new solution. The most common PD treatment. The solution stays in your belly for 4-6 hours and you have to change it about 4 times a day. 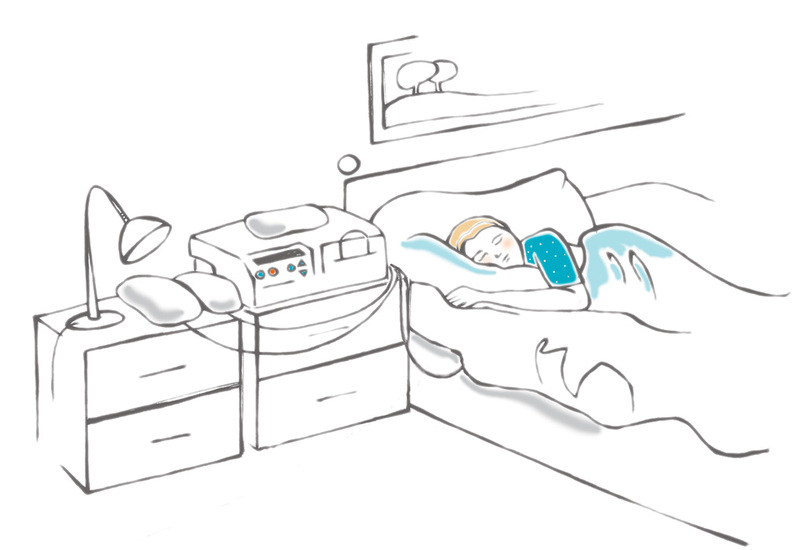 There will be a machine to automatically fill and drain the dialysis solution while you are sleeping. Takes about 10-12 hours but you can carry on your day once you wake up the next day. You can do your daily activities like normal. It’s more convenient because it can be done anywhere as long as it is clean. You don’t have to follow a very strict diet like HD patients. You feel less tired too. Might be uncomfortable because you are carrying about 2 liters of liquid. Your surroundings and your hands have to be clean and dust-free before conducting PD. Training is compulsory before undergoing the treatment. You have to DIY or at least have someone who is there to assist you if you are not able to do it by yourself. 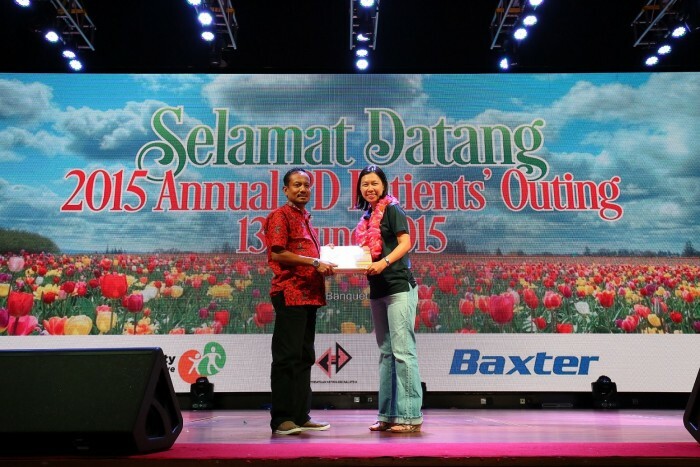 I met Kidam Deras, a 47 year old retiree who was awarded for undergoing PD treatment for 10 years during the annual PD Patients’ Outing organized by the Malaysian Society of Nephrology (MSN) and Baxter Healthcare (Malaysia) Sdn Bhd, and he looks as healthy as ever! Before he started PD, he was taking HD for a few years and he was always exhausted after treatments so he asked his doctor for other alternatives. That’s when he was introduced to PD where he did the CAPD treatment for 8 years and now he is on APD for 2 years. “After APD, I feel more energetic to help my kids to get ready for school and do some brisk walk at the park with no trouble,” said Kidam. Switching treatments is possible but you have to discuss with your doctor on what to go for. Whether you are undergoing PD, HD or just got an organ transplant, you still have to take good care of your kidneys and your overall health. The diet for a PD patient may not be as strict as a HD patient but bingeing on fried and sugary food is not going to help with your treatment. Eat wisely or according to your doctor’s recommendations. Interested to try Peritonial Dialysis (PD)? Consult your doctor to determine if PD is a suitable treatment for you. Have you heard of or are undertaking the Peritoneal Dialysis (PD) treatment? Share your thoughts in the comments below or on our Facebook page!